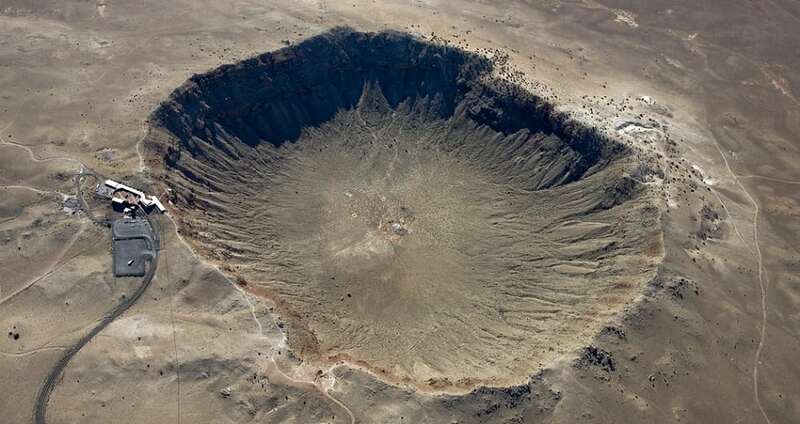 Often called Meteor Crater, because it was the first crater on Earth recognized as an impact crater. Meteor Crater rises 5,710 ft above sea level. It is about 3,900 ft in diameter, some 560 ft deep, and is surrounded by a rim that rises 148 ft above the surrounding plains.